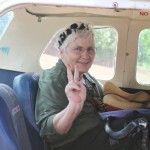 Sister Judy Bisignano, a Dominican nun, is a fierce educator, and in so many ways a rebel. SISTER JAGUAR’S JOURNEY tells the story of her difficult childhood, and her attempt to avoid family life, marriage and motherhood by entering the convent, where she was met with an even more abusive situation. Ever the survivor, she worked with children and opened several schools, yet when the school she started for the Mexican-American community was closed down, she was forced to confront the devastating affects of her lifelong anger. Her journey takes her to the rainforest of Ecuador and the sacred rituals of the Achuar people. It was here in this moment, in this place, with these special people, that she found God, healing and forgiveness. The Achuar call her Sister Jaguar, and so will you. 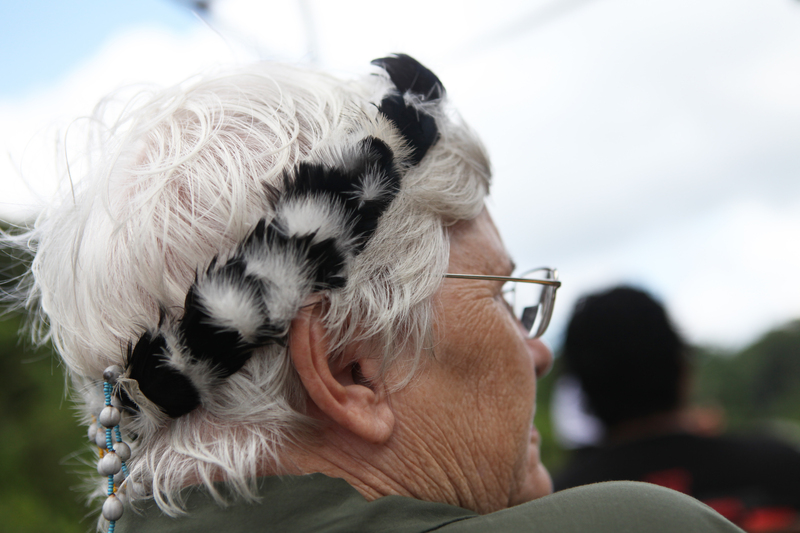 Sister Jaguar’s Journey tells the story of Sister Judy Bisignano, a Dominican nun, who spent sixty-eight years looking for God in all the wrong places. A lifetime of prayer and public service as a fierce and renowned educator failed to bring her the peace and divine connection she had always sought. Over the years she had started several unique and very successful alternative schools in Tucson, Arizona. Yet, after the Cesar Chavez Learning Community, a school in the Mexican-American community, closed she was forced to confront the devastating affects of her life long anger on her life, her work, and those around her. 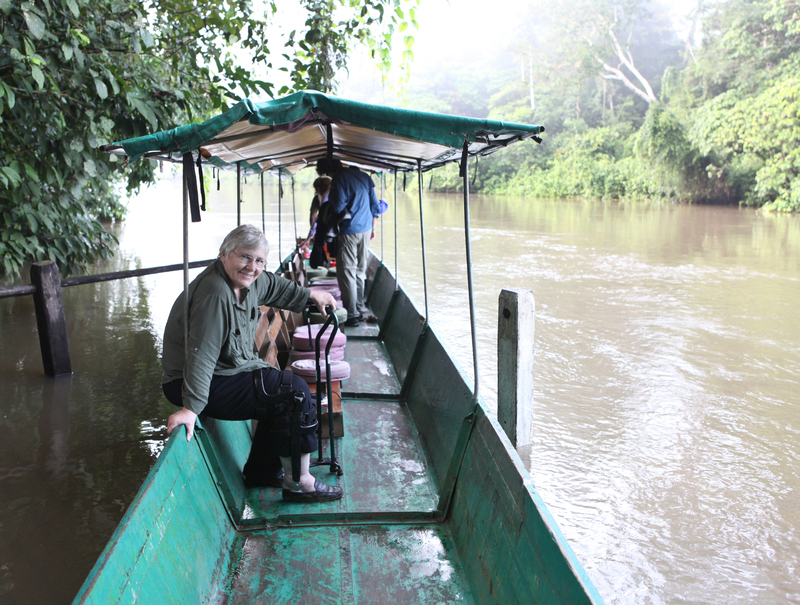 ion presents herself in the form of Sandra Morse, a friend and professional communication philosopher, who with a simple invitation to visit the Achuar community in the Ecuadorian Amazon rainforest, forever changed Sister Judy’s life. Launching her onto a path toward reconciliation with her turbulent, abusive, angry past, she eventually found peace and forgiveness through plant medicine in the Amazon rainforest. Guided by the indigenous wisdom of Pachamama (Mother Earth) and the sacred rituals of the Achuar people, she found that her life’s purpose was not to become an intelligent, creative, American educator, author and nun but rather a compassionate human being. The first step on this journey was to override the devastating effects of lifelong anger and self-condemnation with which she had become so familiar, and entrenched. The decision to take part in the ayahuasca plant medicine ceremony was a pivotal moment for her, and offered a new beginning. 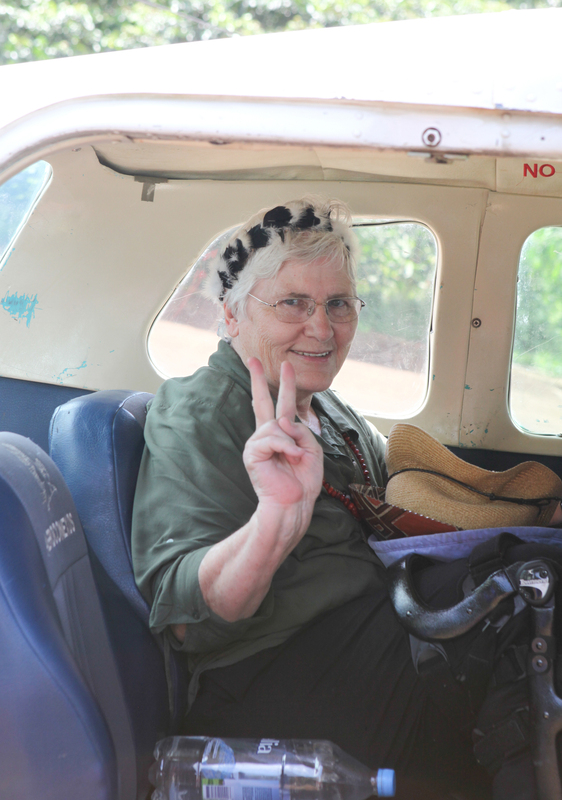 Yes, a Dominican nun drinking ayahuasca – and it changed everything. There on the banks of the Pastaza River, with the Achuar, she found her true self. While sitting along in a canoe along the river bank, she and two Achuar guides witnessed a black jaguar devour a white bird. To date, she is the only visitor to encounter a black jaguar. According to the Achuar shaman, seeing a black jaguar in the Amazon jungle was a good omen, one that empowered Sister Judy to experience a series of cultural, environmental and spiritual shifts that ultimately transformed her life. In many ways, Sister Jaguar’s Journey is the story of one nun’s transformational passage from self-rejection to self-acceptance; from self-blame to self-love. It is, perhaps, the journey of each of us as we search for peace in this life and beyond. The Achuar call her “Hermana Otorango – Sister Jaguar,” and so will you. Sandra Morse is a communications philosopher and has a private practice in Tucson, Arizona. She holds a BA degree in philosophy and communication and is a certified mediator. Sandra and her husband, Michael, are Directors of Inch by Inch, LLC and Global Worming, LLC whereby soil amendments, worm castings and worms are developed in an effort to return Pachamama (Mother Earth) to her original, pristine condition. Sandra has been a long time facilitator of Awakening The Dreamer Symposiums for the Pachamama Alliance, Inc. in San Francisco, CA. This international organization educates individuals to become proactive creators of a global future by taking a stand for a thriving, just and sustainable world. Besides producing and narrating the film, Sister Jaguar’s Journey, Sandra Morse with Sister Judy Bisignano co-authored the book by the same title. The pair went on to write Maketai: An Ode to Pachamama, a photographic essay honoring their friends the Achuar who protect and preserve the pristine Amazon rainforest. Sande Zeig directed and produced four films including the short CENTRAL PARK, which premiered at Sundance in 1994; a feature THE GIRL, based on a short story by French writer Monique Wittig in 2001, which premiered at Toronto and Berlin; the documentary SOUL MASTERS: DR. GUO & DR. SHA, which was released in 2008 and APACHE 8, a documentary about Apache women firefighters, which was first broadcast on PBS in March 2011. It has been broadcast over 1500 times on PBS. Zeig is President of Artistic License Films, a film distribution company that has distributed over a hundred films including films by Ismail Merchant, Michel Negroponte, Jim Stark, Kore-eda Hirakazu, Theo Angelopoulos, Agnes Jaoui, and Jeanne Jordan and Steve Ascher. Since 2006 Zeig became the head of the Media Department of Universal Soul Service, and travels worldwide filming, webcasting and teleconferencing the Tao Healing Miracles of Dr. and Master Zhi Gang Sha. Melody London has worked for over two decades with several luminaries of the New York avant-garde film world including Jim Jarmusch, Beth B, Laurie Anderson, The Wooster Group and Richard Hell. She has received many rewards for her work as editor, including Best Picture at both the Cannes and Sundance Film Festivals. Throughout her career, she has alternately worked on feature films, including Hollywood mainstream movies, and social issue documentaries. Melody has also taught film production and history at both the California Institute of the Arts and New York University’s Tisch School of the Arts. Melody’s recent list of credits include: Like Your Brother (Short), Generation Um…, Night Has Settled, The Wannabe, and Daughter of God. Wendy Blackstone has composed original film scores for over 100 film and TV projects. With equal strengths in drama and comedy, fiction and non-fiction, her artistic and eclectic approach inspires her to create a unique score for each film. Determined to innovate, Wendy combines experimentation with the great musical traditions of the past, weaving originally designed sounds with acoustic ensembles to create the best score for each film. Wendy’s extensive list of credits include: Dear Diary (Dreamworks), Crisis Hotline, Veterans Press 1, Strangers No More, Paradise Lost 3: Purgatory Love Walked In New Jersey Drive, Only You, The Dutch Master, and A Tourist. Mari Keiko Gonzalez is an award-winning editor whose extensive list of credits include: LIVE FROM NEW YORK! which was the opening night film at the Tribeca Film Festival in 2015; TEXAS, about Russell Crowe’s band 30 Odd Foot of Grunts; APACHE 8, directed by Sande Zeig about an all-women wildland firefighter crew; JAY-Z live from Madison Square Garden and HBO’s 2015 Rock and Roll Hall of Fame induction ceremony. Mari is currently directing and editing a feature-length documentary about the history of Latin music. 1. Why do the Achuar call you Sister Jaguar? On my first trip to the Amazon I saw a black jaguar along the river bank. That’s when the Achuar started calling me Sister Jaguar. I am the only visitor to see a jaguar since Pachamama Alliance started taking people to the jungle in 2000. 2. What was it like taking ayahuasca for the first time? You’ve said that it transformed you – how so? 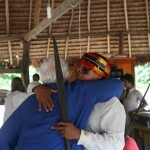 I went to the jungle to participate in the ayahuasca plant medicine ceremony. Throughout my life as a nun, I slowly lost my soul and allowed events and circumstances to move me to a place of profound sadness. Anger and depression controlled my thoughts, feelings and actions. Lacking the life skills to cope with dignity and grace, I slipped farther and farther away from my center. I lost what the Achuar call arutum – the energy of life itself – the force that creates communion and hope, the vigor that allows one to move forward into an optimistic future. My connection with nature, life and God had dissipated. It was not until I searched for and eventually found Pachamama in the Ecuadorian rainforest that I arrived at acceptance, commitment and peace. There in the jungle, Grandmother sent me the spirit of the jaguar where I experienced the recklessness of my anger. The river ran with blood. The plants and bushes turned to skulls. Giant trees morphed into metallic insects of colossal size. But Grandmother also offered her tender embrace. Vibrating lines of energy shimmering like the Northern Lights, candle light shooting outward in all directions in an attempt to recreate the Big Bang, colorful spider webs holding planets and people in place, and shooting stars became the faces of every student I ever taught. Fifty years of faces flashed before me. As I took it in, I knew the kids had forgiven me. I knew they accepted me for whom I was. I knew I had given them more than my anger and hostility. Why did I wait so long to go that deep? 3. 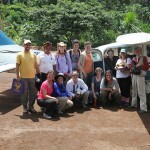 You are passionate about the rainforest since your first trip there in 2009 and have been back five times since. Can you talk a bit about why? And what it and the Achuar people mean to you? I go to the Amazon rainforest to connect with Ecuador’s native Achuar people who guard defiantly the entrance to their pristine, natural habitat and untainted local communities. It is an honor to experience their lives and rituals and witness the role they play in preserving Pachamama (Mother Earth). As I journey into the rainforest, it is as if I travel back in time thousands of years, to that moment when humans first turned to each other for security, community and love. 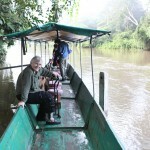 When I go to the Amazon jungle, I feel as if I am going home. 4. 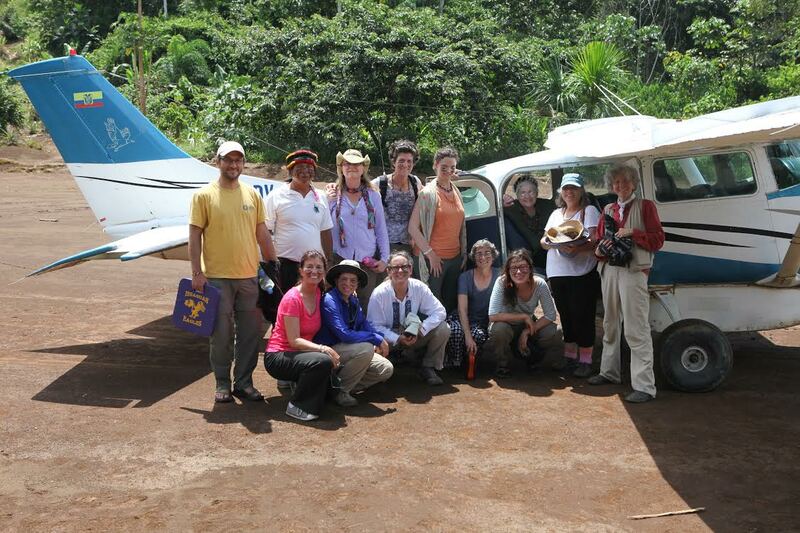 How has your life changed since your first trip to the rainforest? While I live in religious community and love my Sisters deeply, Pachamama has given me another gift of a local, heart-opening community with indigenous roots and values. This unique community resides in the hearts of its members while it accepts everyone as individuals. This community does not need to constrain me and make sure that I comply with its rules and regulations. It is not designed for reformation, but rather for transformation and relaxation. In this community, we trust each other to abandon our defenses in order to be with each other in loving, appropriate ways. I have no need to protect myself within this group; we safeguard each other. My hope for this fledgling community is that we grow into a global network that includes diverse people, especially my Sisters and the poor, as we serve Pachamama and her people. 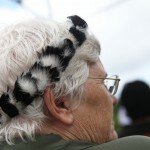 In this local community I am not considered just another old person. I am a revered elder with special privileges consisting of time to pray, study, read, write, listen, think, feel, and simply be. As an elder, I have the privilege of holding the collective wisdom of the group while inviting our ancestors to participate in our ceremonies and rituals since it is their collective wisdom that I hold. I know my body is slowing down. Luckily, I still have racing thoughts! I still dream of shape-shifting (profoundly changing) the world! As opportunities manifest themselves, I make sure I lead from my heart rather than my head. I insist that, within community, well-being is mutual. I encourage women to find their modern selves within the world and their indigenous selves within their culture. As this happens, we are all more free. 5. What do you hope people take away with them when they see this film? 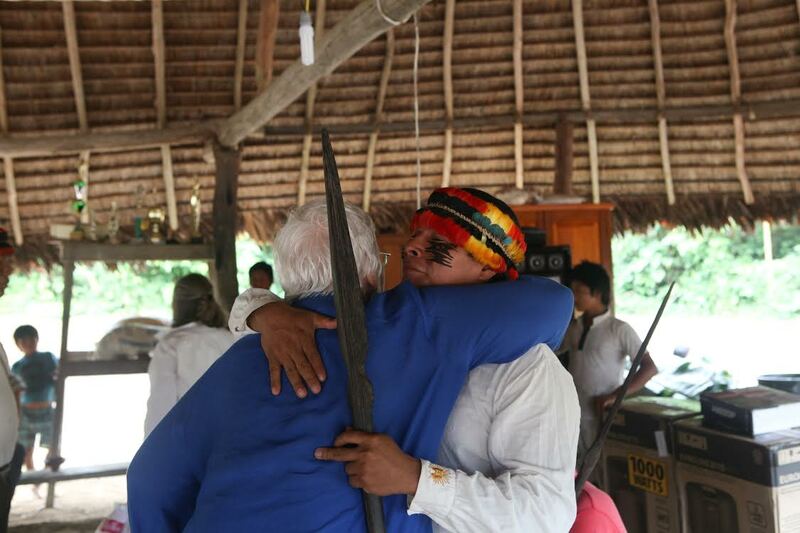 Hopefully, people viewing the film will leave with the same arutum – the same energy of life – that I found while visiting the Achuar in the Amazon jungle. After all, Pachamama is Mother Earth. She resides in us and we reside in her. She is everywhere! We are one! I always knew that the path to peace was an inner journey. As a nun, I engaged in a variety of practices for sixty-eight years with minimal psychological and spiritual return. Then, in a single, simple, life-changing shamanic ritual in Ecuador’s Amazon rainforest, the heart-opening plant medicine I refer lovingly to as Grandmother suspended the clutter of my judging mind. The anger and depression from my past collided with the worry and anxiety from my future. There I was, suspended in the forgiveness and peace of the present moment forever changed. © 2019 Sister Jaguar's Journey.